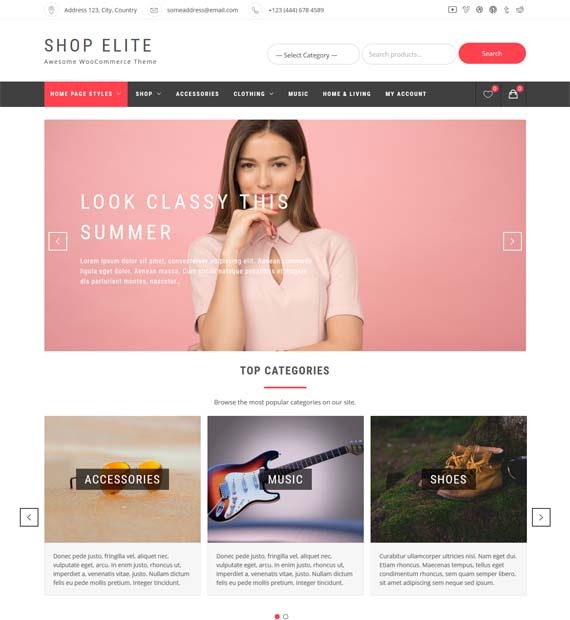 Shop Elite is an amazing eCommerce theme that comes with a clean and professional design. This responsive WordPress theme is absolutely free and fully supports WooCommerce making it perfect for an online store. Shop Elite also has awesome features such as custom widgets, layout options, preloaders, sticky header, etc. Not only that, but Shop Elite is also SEO optimized and has a number of widgets that are designed to work with WooCommerce. With its one-click demo importer, you will be able to set up a beautiful e-Commerce website with ease.